Member of K-pop group "Gugudan" and former member of K-pop group "I.O.I". Fan Apr 20 2019 2:52 pm Yesssssssss, she was sooooo good in school 2017 I was wondering when she’d get her next lead role. Rich Oct 14 2018 8:41 am Is she joining a kdrama soon? KK Jun 04 2018 4:49 am Everything about her is so wonderful. Huhu. Her personality, her prettiness her everything. Unnie, i'll support you and your group GUGUDAN forever. Kristine Laforga May 06 2018 9:03 am My first ever bias in Kpop group since September 9, 2017, but i know her since aired School 2017, i miss you so much baby girl, you are the best. Jennie Jan 01 2018 4:36 am She win last night New actress award. ? So proud of my bb. ?? Jennie Dec 27 2017 9:48 am Hope she wins many award this year. Lovelots! aryan Oct 29 2017 5:01 am i love you girl!! keep slayin' i adore you so much keep it up!! Jeff Sep 21 2017 8:38 am She should get best new actress for her role in School 2017. I think she did a wonderful job I hope to see her in more dramas Kim Se-Jeong Good Luck, wish you the best. Flower Knight Sep 18 2017 3:12 am My favorite ever since Produce101. She has brought me to the Kpop world and now she brings me to the K-drama. And I didn't know most of the verity shows before she go. At first, I had no idea about my bias will be multitalented. I just followed her because I could feel the strongest energy from her voice and her expression on Irony stage. And then...... I followed her almost every single day over a year. Naver weary, she always do her best, singng, verity.... and now acting. You deserve everything uri Sejeong. Only walk on flower road! Fighting! Lulay Sep 16 2017 2:43 pm Woaaah daebak idol,, unnie im your fan from philippines,,, more peojects to come. Fighting saranghee..
Fshmimi Sep 16 2017 12:35 am Sejeong was really cute and beautiful actress. She is really amazing. It was her first drama but she is very talented and charming. Her acting was real and loving. I've miss the moment ra eun ho and hyun tae woon. They look good together in school 2017 drama. Saranghea sejeong!! helomekinvegas Sep 12 2017 11:27 pm Wowwww!!! 2017 is her first drama???? Nice job on the drama. Will watch for future works. And look for Gugudan and I.O.I. music/videos. jathinks Sep 11 2017 11:40 pm Very amazing actress! Everything in her acting looks natural. ? Sheilasicilia Sep 10 2017 10:09 am Can we have next season of School 2017, please??! Jocelyn Kee Sep 07 2017 12:52 am Love her acting and her lovely smile. She has a bright future in acting. naziera Sep 06 2017 7:54 pm please do school 2017 siries 2..
Endang Royani Sep 04 2017 1:57 pm Saranghae❤❤❤❤ I'm your new fan?? Love yourself Sep 04 2017 11:32 am I am a new fan of her and I really like her. I love her act in school 2017,I think everyone should watch that drama! It's the BEST! I am not a fan of IOI but now on I will just becaus of her. She is so talented in her dramas and in her musics. She is sooo cute and nice! Love you!❤️?? Slowmotion Sep 04 2017 10:18 am I love her acting. She is newbie right? But she did well. I keep searching everything about her lol ? ally Aug 29 2017 2:04 pm my favorite ever since produce 101!! she's just very wonderful and talented, when she was in produce 101 i only thought she only talented in both singing and dancing and i even doubting her acting in school 2017 since it was her very first drama but she can rid away all my doubts, her acting is very natural and nice for beginner. fighthing!!! Anon_Drakorian Aug 29 2017 1:38 pm woah , keep fighting for ur drama sejeong ... do the best for school 2017 (y) and have a good day to you ! fighting !!! Lynz Aug 29 2017 1:47 am Our big star has born! I really love her since in IOI and kinda sure someday she will be the great star. What I can say, she is really multitalented. When she does singing, nobody can deny her talent. Even in variety show, she is totally good. And now in acting, she is really awesome. It is just out of my expectation, she is really doing well. We all know that it is all bcs of her hardwork also her natural talent. Anyway, I cry, also laughing hard for her her cuteness in some scenes. So lovely! Overall, I really love this girl bcs her manner and personality in a real life. You deserve to get the lead role, and sure you deserve to get a thousand love. Fighting Uri Sejeong! Ana Aug 28 2017 9:46 am Such a great actress. I still can't believe School 2017 is her very first drama. Her acting is so natural and fine. I'm rooting for her and can't wait to see her in more dramas from now on. Se Jeong eonnie, fighting! Kwon heyra Aug 26 2017 7:41 am Wow sejeong ah!!! I dont know how to describe you in words. You are so amazing. You amazed me with your singing skills, variety skills, & now your acting skills kills it!!! You deserve for having a nickname "god sejeong"!!! You are now my new girl crush. Omg, come on how come a girl like you beat sistar and other celebrities in arm wrestling??? Your aegyo kills it! I hope you can make more solo songs & ost!!! Will always support you!!! Hope we will meet in the future!!! Bopharath Aug 25 2017 10:10 am Se jeong u're so cute n talented Love u ???? makan Aug 25 2017 12:15 am All I can say is WOW....WOW! I have been a fan of Sejeong since IOI and now with Gugudan too. She is just a wonderful singer. I was happy she had the opportunity to win this role in School 2017. But I was worried that it was such a large role for her first time. AND just like her singing, she is AMAZINIG in this drama. Her acting is so natural, heartwarming and fresh. I find myself smiling at the TV just watching her expressions. I hope she will be able to balance both Singing and Acting because she a very very special Talent. RoWoon Aug 22 2017 8:41 am She's so cute!!!!! ♥♥♥♥, the smile of her really means a lot to me. It makes my problem fade. First I keep ignoring the School 2017 drama but after I saw her. Boom, I think I want more, I hope she well continue acting after School 2017 drama. Nux Aug 18 2017 3:03 am I really like her acting, you laugh with her, you cry with her and you get angry with her. Really likeable actress, I don't think I would of liked School 2017 if it had of been Kim You-Jung instead. Don't get me wrong I like her acting but Kim Se-Jeong owns this character. It's nice to see different fresh faces in the dramas and especially to see them so talented without a long history of acting. 21twntyfirst Aug 13 2017 6:20 am Fell in love with her after watching her in school 2017, she so pretty! Hope to see her more at drama!? kyutikwangsoo Aug 07 2017 1:13 pm For someone who being the lead for the very first time, i think she's doing really great..
pico Aug 07 2017 4:53 am She's cute and pretty.adorable but at the same time inspiring.she gives hope and confidence to people through her story,personality and infectious smile.smiling even when things are tough.she's still a modest and humble girl despite achieving so much 2yrs after her debut(ioi).topping charts,group win, solo win,ost(lotbs),ft.in taeil(blockb)song,cf queen(? 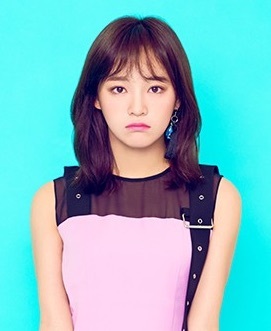 ),variety star,lead role in school 2017 and a lot more achievement/accomplishments.receiving praises from other singers,idols,actors,pds,staffs and others who've met her in person.she truly does deserve the nickname god sejeong.there are more things to say about her but that's enough for now.her achievements will definitely not stop here and we can always expect to see more from her.?fighting! !김세정 ?i wish to meet her in the future? Ara Aug 06 2017 12:00 pm She is very talented actress! She's very cute! I love her smile. Goodluck sejeong in your career as an actress and singer! Fighting! ?? i-am-only-someone Aug 05 2017 10:24 pm I started to know the name of 'Sejeong' when i was addicted with The Legend of The Blue Sea drama. Sejeong sang an ost titled 'If Only' ---my favorite ost in that drama. I fell in love with every single thing in that song. What i loved the most was how beautiful the singer's voice is. Her voice is so bold but beautiful, capturing your heart to go with the feels. I've been adoring her name, Sejeong, started from that moment, but i didn't feel that curious to start looking up her profile or everything about her for more. So i thought (just by listening her voice everyday) that, "She must be a professional and well-known singer like Lyn or Yoon Mi Rae." I thought she was around 30s and i didn't even search in google about how she looks. I remember i was laughing so hard the first time i saw her pics in google when she was announced as the female lead in School 2017. She is still a young girl OMG. She evrn joined PD101 and is the member of a girlband. OMG. OMG. How could she sing so well like a goddess, like Lyn, Yoon Mi Rae, or even BoA?? Now that i've been following the drama, my admiration towards her is growing sooo fast as i found she is sooo cute, a talented actresses with great acting, and of course a gorgeous singer with beautiful voice. I hope she will get recognized more and be successful always~~! Whatever Aug 01 2017 3:00 am I couldn't believe the fact that .. Is she who sing one of The Legend of the blue sea soundtrack?? What a multi talented girl! sairen Jul 31 2017 7:23 pm wow..i search again.and i found out that its her 1st drama?? soo cool..i also see comments,thats fills w/ good complements..????? indeed..She's really one of that Talented actress..
anastasia Jul 26 2017 8:50 am She is the reason I watch School 2017 and as usual she never fails to amaze me. I love the way she acts, talks, and even when she cries. Sejeongie fighting! Jelpistan Jul 22 2017 10:44 am I just love her acting! She is a really good actress and I just feel like crying every time she does ? I like how she brings all the emotion. 라은호 화이팅! I am deth unnie Jul 21 2017 3:55 am She is good and promising new actress!she made me sob when she deliver her dialogue with her mom insisting that it wasn't her who did the prank!!fighting! Lola Jul 21 2017 12:50 am I just love her natural acting!!! I just cant wait to see next episode. She so talented guys! ??? Stansejeong Jul 03 2017 7:55 pm I love you sejeong unnie ,always ? Skyler Jun 28 2017 1:38 pm didn't watch any school series but this will make me, blame God Sejeong for it. jiaengg Jun 14 2017 9:45 am never a fan of school 20xx series... but definetly will watch school 2017 for sejeong! Dean Jun 12 2017 11:24 pm I strongly believe she will be a good actress. She's totally comfortable with cameras and her facial expressions are flexible. During P101 days she always gave me a rookie actress vibe idk why. I think she'll do well in School 2017. Actually imo Sejung is a better choice than Kim Yoojung. I mean Yoojung is good but School series is all about finding new faces that got potentials but not hit big yet, and then after School they got more recognition and soon fly to stardom. Isn't that what School series aim for? For example look at Lee Jongsuk, Kim Woobin, Kim Sohyun, Yook Sungjae, they were not that popular before joing School but after that they became A class actors and actress. Yoojung already got lots of popularity thanks to Moonlight, so I don't think she has any reason to join School. School needs the freshness, and Yoojung is not "fresh" anymore. ensiklopedita Jun 07 2017 9:29 pm I'm a fan of her since her P101 days and will support her in the future no matter what. Fighting for your debut drama and I hope you'll grow become a good actress and entertainer. Jay Jun 07 2017 1:51 pm From all the shows I've seen of her: CFs, mini cameos in dramas, SNL... I have high hopes for her. She's really natural at delivering her lines and a lot of CF directors and drama PDs have complimented her about this already. I think she'll do very well in her role and I hope everything else will be great like directing, script, editing, and etc. Can't wait to watch School 2017! Sam Jun 06 2017 3:46 am really glad that she is the lead of school 2017 not a fan of her but looking forward to it hope she will do well :) fighting!